An Arts & Sciences math professor is founding editor-in-chief of a math education blog for the American Mathematical Society focused on providing mathematicians with commentary and resources regarding teaching and learning. 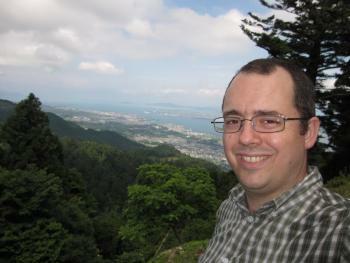 “My reason for starting the blog was to provide a source of high-quality information regarding mathematics teaching and learning for members of the American Mathematical Society, given that there are currently many changes taking place in mathematics education at the post-secondary level,” said Ben Braun, Associate Professor of Mathematics at the University of Kentucky. Launched in June 2014, the blog has received more than 190,000 unique page views and currently has an editorial board of seven mathematicians located across the U.S. The blog focuses on postsecondary and PreK-12 education, and explores issues that affect both high- and low-achieving students as well as issues that affect students who are minoritized in their mathematical communities. The most shared article on the blog is about using unsolved math problems as homework in Braun’s upper-division UK math courses. Last fall, Braun co-authored a six-part series on active learning methods in mathematics education. The six-part series was developed collaboratively by Braun, Priscilla Bremser at Middlebury College, Art Duval at University of Texas at El Paso, Elise Lockwood at Oregon State University, and Diana White at University of Colorado Denver. Other UK contributors to the blog have included Mathematics and STEM Education double-major Morgan Mattingly, who wrote about her experience in a problem solving course, and mathematics professor Carl Lee, who wrote about the importance of personal context and informal education for mathematics students. Braun is an Associate Professor in the College of Arts & Sciences’ Department of Mathematics at the University of Kentucky, where he holds the Wimberly and Betty Royster Research Professorship. His mathematical research is in geometric and algebraic combinatorics, and he is active in mentoring graduate and undergraduate research students. His scholarly interests in teaching and learning include active learning, using writing in mathematics courses, pre-service teacher education, pedagogical use of the history of mathematics, and connections between mathematics education and educational psychology. He serves as a member-at-large on the American Mathematical Society Committee on Education and as the Editor-in-Chief of the American Mathematical Society blog On Teaching and Learning Mathematics.